Potty training boys can be a tough job because they’re always distracted, so you really need extra patience and determination before you go on with training. Potty training your little boy can be challenging, but nothing beats the fulfillment it brings afterwards. It took a lot of convincing for you to finally lure your little one into his potty chair and start potty training, and it’s definitely going to take a lot of time and effort to let him stay and enjoy the whole experience. For a determined mom, bribing him with toys is not enough. You want him to approach his potty chair and do it on his own, and you’re going to do whatever it takes for it to happen! – Children tend to imitate adults all the time so take advantage of this by letting your little boy watch his dad in the bathroom. Let his father explain why he has to pee standing up and let him answer questions. Have his older brother join in the conversation if he has one. This will give him a sense of belongingness and will most likely urge him to do it the way the big guys in the household do it. – A lot of mothers used different tricks to have their son take aim whenever they pee in the potty. Some use circle-shaped cereal like froot loops so their sons can practice their aim, while others simply use a ping pong ball as target. This isn’t really necessary if your son’s just starting out with training, but this will definitely be a big help if he gets used to it, not to mention the fact that this will make the experience more fun for them. – There are a lot of simple ways to motivate your son – letting him personalize his own chair with stickers and making him a progress chart are just some of them. Since little boys tend to be hyper and may not want to stop playing in order to use the potty, it’s best to keep them motivated. Letting him choose his own underwear and having special toys for potty time are also good ways to lure them into the potty. Don’t forget to praise your son and give him little rewards like an extra bedtime story before he goes to sleep or candies and stickers. It doesn’t have to be huge or pricey, just something that will motivate him to keep doing a better job while training. – Setbacks are normal especially during the first few weeks, so it’s best to anticipate setbacks and be ready for them. It usually happens during the night so prepare extra sheets and a lot of wet wipes. Don’t punish or yell at your child for having little accidents, because they tend to get more nervous and anxious and it will most likely lead to constipation or they might become less interested. – The best way to avoid little ‘accidents’ while he’s asleep is to limit his liquid intake at least an hour before bed time. Regulating his liquid intake will help your son stay dry during the night. Don’t forget to check on him and let him take a trip to the bathroom an hour before he goes to bed. 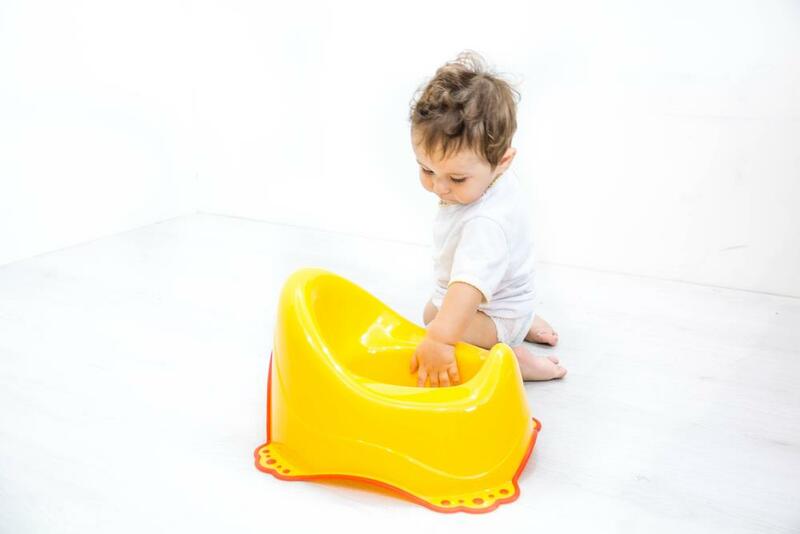 – The first step you can do to make your toddler want to start potty training is to buy him a potty chair. Let him choose his own chair and personalize it with stickers and potty seat covers! Write his name on it and decorate it with cartoon and superhero stickers. This will make him feel that he owns his potty chair, and it will make him want to use it all the time. 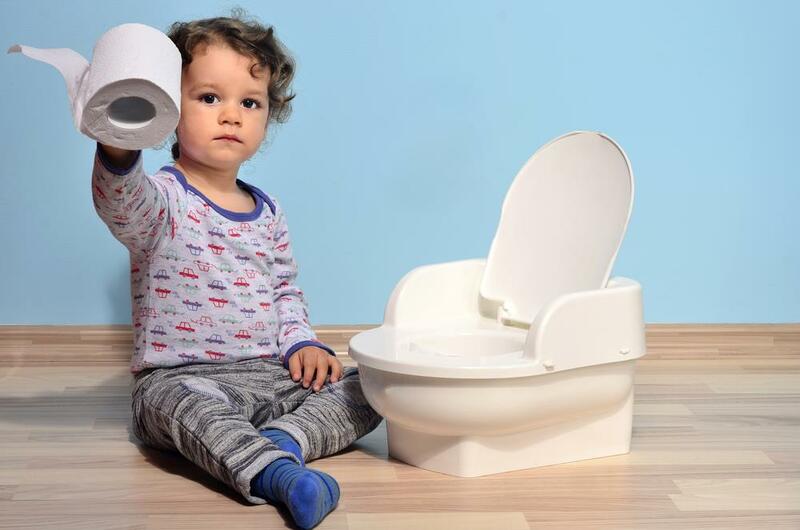 – It takes two parents to successfully potty train a toddler, so let your toddler be in the bathroom with his dad and let him watch what his dad is doing. This way, he’ll know how to really do it, and let your husband or his older brother explain why he has to pee while standing up. He’ll most likely imitate them the next time he uses his potty to pee. – Toilet targets are little washable float targets that will motivate your son to practice his aim whenever he pees. There are a lot of designs like cartoons and dinosaurs that will greatly improve his toilet training. Make every bathroom trip fun for your son by playing little games like this one so he won’t get bored. – A potty watch is a little watch that beeps and flashes when it’s time for him to go to the bathroom. He will feel like a grownup, and he’ll most likely do it on his own. This will save you the time and worry! 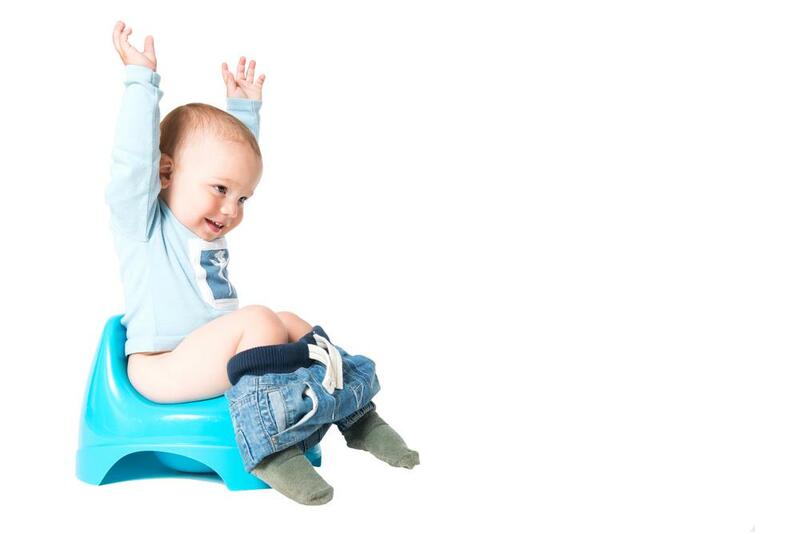 – Once your son is finally getting used to potty training, let him try wearing training pants. You can call it “special pants” and only let him wear it every time he uses the potty. These training pants will also teach him how to put his pants back on once he’s done with the potty. – Add a colorful chart near a wall beside his potty chair where he can look at his own progress. Use colorful stickers and let him watch you add stickers every time he uses the potty. Give him a small reward like ice cream or a new toy every time he completes five stickers a week. This will give him the idea that the whole process is a game and he’s winning, so this definitely does the trick!